Home Technology Can you live without Internet? These days its hard to imagine the 'unthinkable' of life without the Internet, yet there are many who have grown up without the reliance and dependence upon it. How would today's society fare without the Internet, if it suddenly collapsed or 'went off-line'? 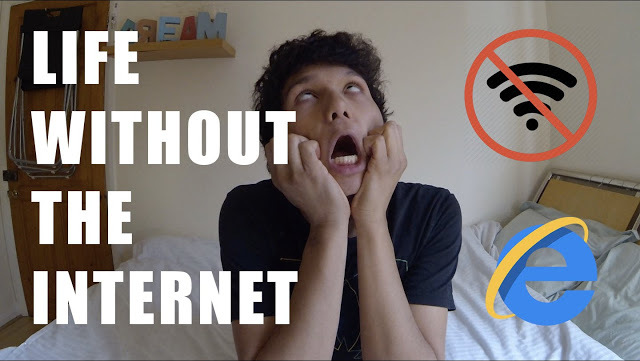 Life without Internet – Pulling the Plug on the Internet. How exactly the Internet Plug could ever get pulled is a complicated question, due to the expansive infrastructure that makes up the Internet. It would probably require the shutting down of every server and local DNS around the world. Some people have spoken about a major virus infection spreading through all servers and computers, rendering them / the Internet in a paralyzed state. There is also another wild theory where by the wind generated by huge solar flares will disrupt anything that carries current, from telegraph wires, anything metal, computers, servers etc. You can read about this theory if you Google “Carrington Event of 1959” This theory is said to be predicted by Nasa. How would having no Internet affect the general personal user? Well apart from every teenager screaming because they can’t log on to Facebook, it all comes down to how much we personally use the Internet and what for. Some of us hardly use the Internet, where others pretty much live their life around it! Equally some actually live a completely New Life within the Internet like those who use Second Life. Many of us use the Internet to communicate, especially those in the lower age brackets above 10 years. From email to chat forums, social networks, dating sites and even virtual worlds our demands on the Internet for social communication and networking are huge. So it’s easy to anticipate that a life without the internet would force people to turn back to grass roots and socialise and communicate on a very basic level. My worry with this though, specifically within the lower age brackets is will the people who’ve grown up with the Internet around them be able to embrace social engagement on a grass roots level and know how to socialise? Would this better enhance communication skills and language in relation to studies on how ‘Internet slang’ has merged into our language skills? Would our ability to meet new people outside our immediate area be severed and thus affecting who we meet, socialise and interact with and above all whom we spend our lives with? How did you meet your partner? Was the Internet involved in the process? We use the Internet to communicate more than ever and it’s become an integral part of any standard means of communication. So with no Internet our means of communication would have to adapt. I very much doubt we’ll be sending smoke signals, but letters would fulfill the hole e-mails left and phones would fulfill the gaps that instant messaging, chat and social media created. An increase in posted mail and phone calls would surely benefit our local postal services and telephone network providers, but what we loved about the Internet was that communication was free! So it’s a possible exaggeration to assume we’d all crack out the pens and paper, start licking stamps and calling everyone we know. Further more we would probably resort to basics, that remain free and simply go ‘talk’ to friends and family. It’s a simple observation that the Internet sped up the world and lives we live. We communicated quicker, we could buy and sell quicker and we could find information quicker. So with the dilemma of having no Internet we’d surely expect the world to slow down, in business, society and communication. Coping with this huge decrease in processing speed would have extended impact throughout the business and society worlds to a point we’d wonder how we ever coped without it. Almost all businesses nowadays have some relationship with the Internet whether it’s a simple business listing or an online store. What implications would be put upon businesses across the world with the loss of the Internet? Perhaps world wide recession, stock markets would collapse, millions of businesses go bust and millions of people loose their jobs? The impact on businesses that utilise the Internet would be massive and the make or break factor would be if they could survive without it? But there may be some advantages amongst this devastation; as consumers we’d probably start buying locally, enriching our local towns and shops. We’d look for local services and sustain local economies by trading within our immediate areas. The loss of jobs that relate to Internet Business would be hard to digest. Jobs at our local super market working the tills would suddenly be in high demand as well as many other jobs that don’t directly relate to the Internet. Many older businesses ‘embraced’ the Internet and didn’t solely found their existence around it, so we’d find a good number of businesses still in a position to trade. They merely used the Internet as an advertising medium or extra virtual shop. As long as they had diversity and a strong customer base they’d adapt in whatever ways necessary to keep trading. We all know the Internet is a massive resource directory, full of useful and useless information, all beautifully at our finger tips. So without it where would we find out the chemical compound of silver, or the world record time for eating After eights? Books! Quite simply, we’d resort back to the old school principle of reading books from libraries. It would definitely be harder finding the equivalent information that the Internet can provide in your local library but if you think about it the Internet basically took the concept of a library and expanded it by about a million times!. Above all we have to remember we got to where we are today without the Internet. The Internet was a technological advancement that excelled us into the 21st century and changed the way we socialised, did business and purchased goods. It paved the way to the future and still has many exciting advancements ahead of it’s self. Witnessing the loss of the Internet is probably very unlikely, but either way I’m quite sure as a human race we’d adapt and persevere as we have done for thousands of years. Those who grew up with the Internet well established around them simply can’t comprehend life without it. There are however many of us who practiced life before it’s time and have experienced a life without the Internet. Like this article? Share it around. 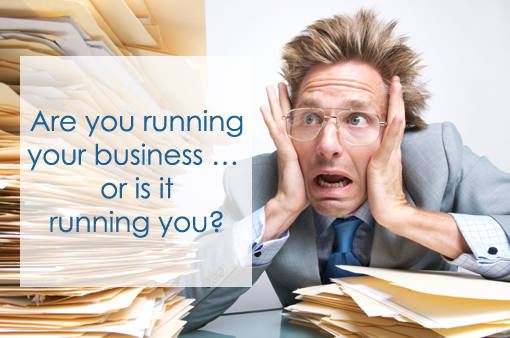 Need tips on how to successfully manage and make the most of your Virtual Assistant? Browse our website www.callarup.com to see the different skill sets of the personal assistant you can work with and let us know how we can help.